Jerome “Jay” Powell was added to the Federal Reserve Board in May 2012. Quite an auspicious time to be thrown into things, Powell had avoided the “unexpected” liquidity crisis of 2011 but he did have to deal with its aftermath. By September of 2012, the Federal Reserve was once again debating yet more QE; a third round. Powell was among the more skeptical of the FOMC members. In this day and age that counts him as a hawk. It’s not that he disagreed with the weakness then abundantly clear in the economy, it’s that he interpreted that weakness very differently. MR. POWELL My conversations with a group of about 10 diverse industrial companies—this is not autos, so it’s away from one of the real strengths. The other parts of the industrial sector, let me say, are pretty weak, and they strongly confirm that last point about employment. Outside of a couple of bright spots like housing and light vehicles, it’s soft everywhere, especially in Europe. Big customers are postponing orders; they’re not canceling them. It’s nothing like from 2008 to 2009, but the softness that began about six months ago is now the new normal for these companies. The game is about share gain and taking out costs. It’s a low-growth environment. All new projects are on hold, and there is no hiring. His high note? Private equity firms. I’m not making this up.  MR. POWELL These large private equity firms are completely global; they each own hundreds of companies in every major economy and in every vertical; and they systematically mine the data that they get and they’ve got the talent on board to do that. This is not the private equity industry of 20 years ago. So they’re seeing something. They really are. So much for that. 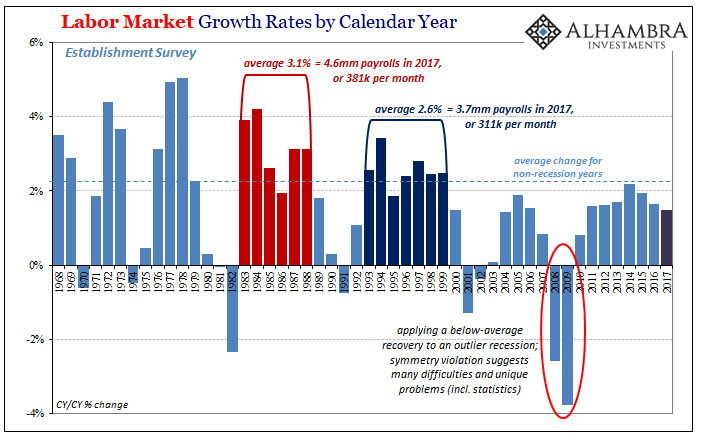 Equity values kept going up, but the economy never did. That 3 or 4 percent “catch-up” that every single Economist and policymaker had expected from 2009 forward failed to ever materialize. That’s what made him a hawk for these modern times, not fear of inflation but the same overoptimistic misreading that we’ve seen countless times before and since. For him to privately dissent (the official vote was unanimous, and it always was going to be unanimous) at that moment against QE3 on those grounds is beyond concerning. He told Chairman Bernanke, “I’m supporting [QE3] with a certain lack of enthusiasm, and I am somewhat uncomfortable with the road that we are on.” At a time when even the most formerly optimistic Economist on the Board and in the system was worried, Powell was totally unmoved. 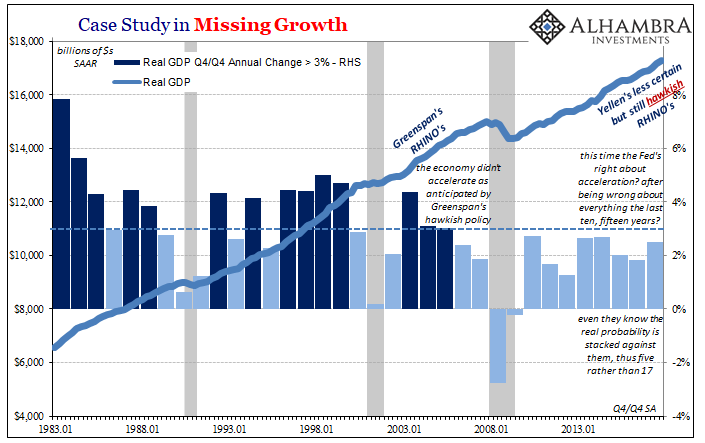 Not that QE3 in reality did all that much, but clearly the economy needed something (somebody to stop the “rising dollar”, not more “stimulus” that the future Chairman was forthright in at least challenging its efficacy). 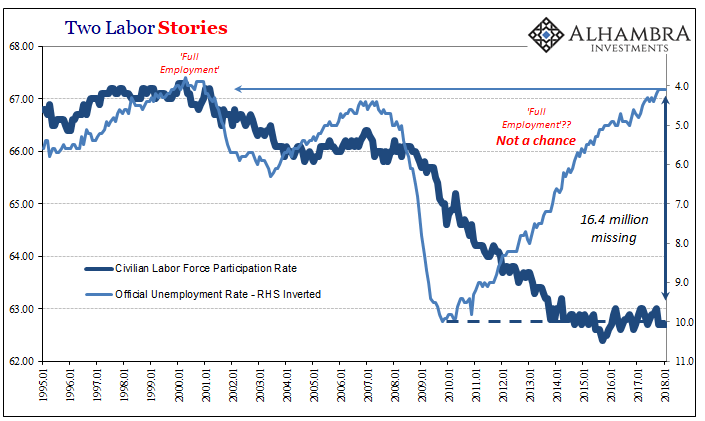 In Powell’s mind, in the middle of the 2012 slowdown, nope. The world was going to get better because the world is going to get better. Powell was apparently the leader of the circular logic subcommittee that in later years gained even more influence over the Fed, particularly in 2015 and 2016 until the reality of that particular downturn finally set in. Most commentary since his nomination late last year has him more dovish than at that poignant moment, but that is as likely the required political nod to so-called stability; no President wants the transfer of Fed Chairmanship to be anything other than continuity, even if this particular President (correctly) campaigned much differently on that very subject. One last thing that stood out to me in that September 2012 discussion, Mr. Powell accused the committee for using quantitative easing in a manner quite unlike its original design and purpose. MR. POWELL We’re now using LSAPs as a straightforward jobs program. There is no credible threat of deflation, recession, or financial crisis, any of which could present a compelling case for action and the use of all of our tools, including LSAPs if appropriate. Again, these are concerns about the medium and the long term, not the next six months. The financial crisis was the year before in 2011, and the problem wasn’t necessarily re-recession but as he stated earlier in his argument “it’s a low-growth environment.” The downturn in 2012 created many of the same negative factors as recession (which he ignored) just not to the same degree, but it was and remains these downturns that make up this no-growth world. 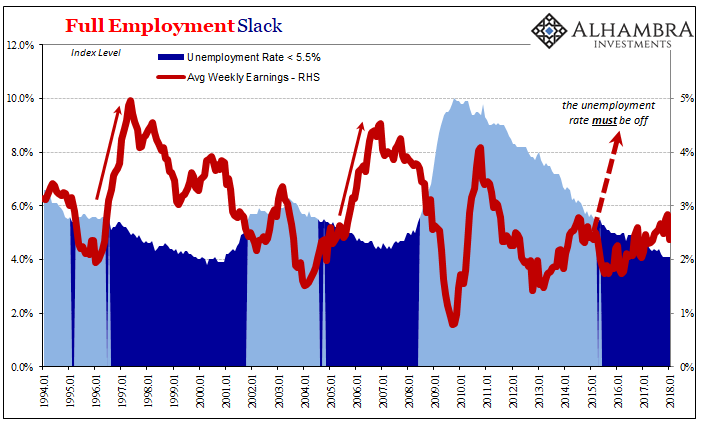 He get points in my mind for recognizing what Bernanke was up to, but then those are deducted for never really spelling out that if QE had become a jobs program it was already a terrible one. 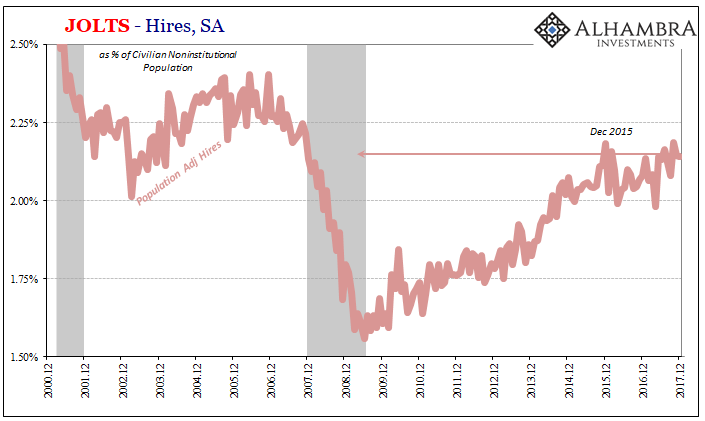 As noted last month, American companies are hiring at a rate consistent with the real measure of slack – the one that includes the millions of prospective American workers the unemployment rate does not, those who would work if there was work. 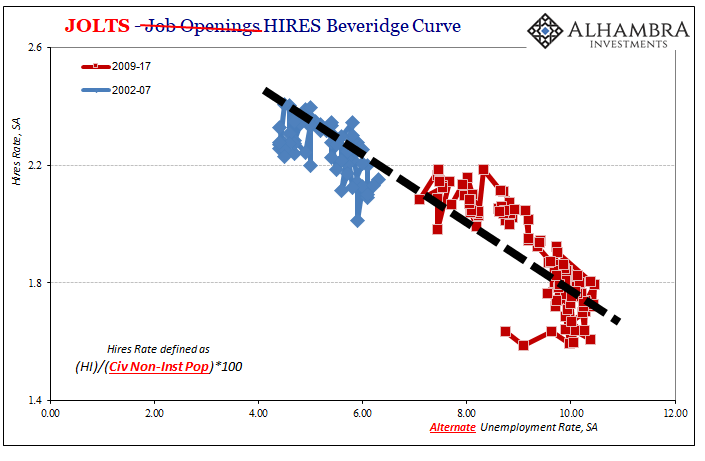 They are not hiring at a rate anywhere close to what people had envisioned in 2012. 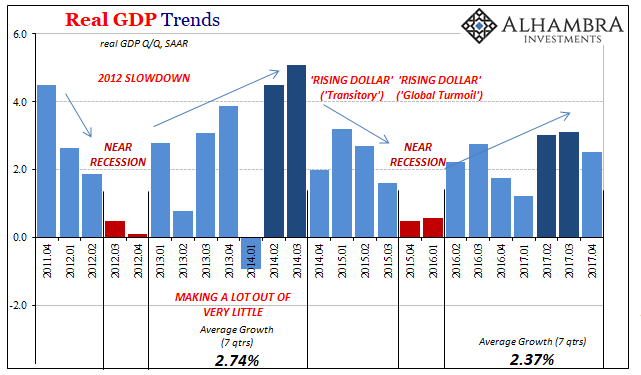 Powell went forward from QE3 (and then QE4 just months later) expecting it wasn’t necessary because cyclical forces would eventually take over and weakness would just disappear into the Hollywood ending Economics had scripted once they realized just how much they screwed up 2008.